Drall are short, squat and stocky bipeds, little more than a metre tall. They are covered with short, thick and dark fur. They have short limbs with clawed and fur-covered hands and feet. Drall are a dignified, self-confident species and are known to be quite level-headed. 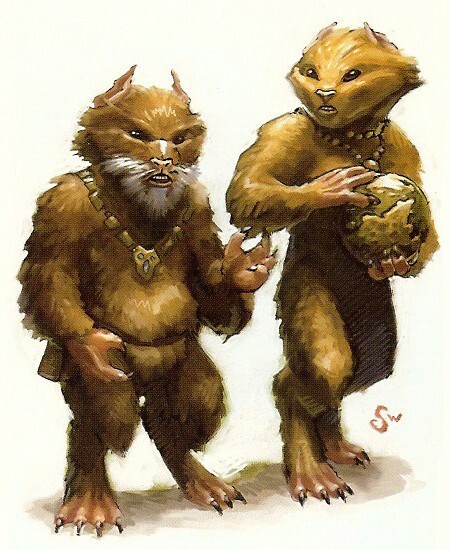 The Drall primarily live on the planet of Drall, but also inhabit other planets of the Corellian system. One notable Drall is Ebrihim, who was a tutor to Han Solo and Princess Leia Organa Solo's children as they visited Corellia during the Centerpoint crisis. Ebrihim also had an aunt, the Duchess of Mastigophorous, who lived on an estate on Drall.